I love this fabric and think you do a wonderful job, I would love to win this! Her Checkered Tote Bag is the one I would pick. It's perfect to add to my collection. Her machine quilting is so amazing! I follow Green Fair Quilt blog. I signed up to be a follower of Green Fairy Quilts Blog. My favorite pattern is the Quilted Memories Quilt Pattern, love it! I signed up for the shop newsletter. I signed up to follow Green Fairy Quilts blog. I have become one of your followers. Flower Patch seems to be my favorite pattern. The fat quarter bundle looks wonderful. Thanks for having this giveaway. I would love to have these fabrics! I just signed up for your newsletter. Can't wait to see it. My fave pattern is the All Boxed In pattern. What a wonderful site. Please enter me in the contest. Thanks. Oh I would love some of that yumminess! Thanks for the chance! I like the butterfly mania pattern! I already follow Green Fairy Quilts' blog! I am already a follower of the Green Fairy. She is a wonderful long arm quilter! 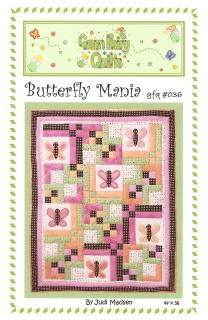 My favorite pattern is Butterfly Mania - I need to make a baby quilt, and that would be a good one! Wow! Beautiful fabric & quilts! I recently found Green Fairy and love her! 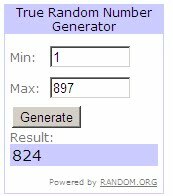 Please enter me in your giveaway! There are so many great fabric collections coming out faster than I can do anything with them! I'd LOVE to win this won though, so pretty! I'm also a newsletter subscriber! Pick me! I love Green Fairy Quilts! I can't beleive that picture of your quilting.. omgosh it is to die for. pls enter me into your generous drawing. I love the Fun with Triangles quilt pattern! Love the Pure by Sweetwater pattern! Favorite patter is The Turtle Walk because I have all boys ... but I also love Checkered Flowers. my favorite pattern is the "Sunshine quilt". I signed up to be a follower on her blog. I love her "Life of a Snowman" wallhanging pattern. I love this giveaway! So fun! Thanks so much! 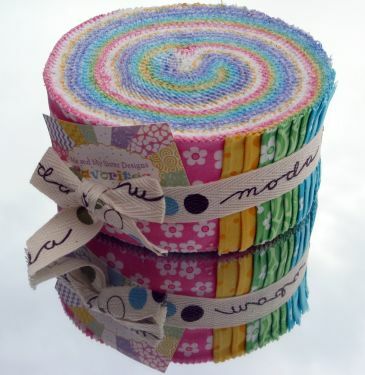 I love, love, LOVE the Moda Jelly Roll - Me & My Sister Favorites!! So, so Cute!!! I love it! Hope I win. Beautiful fabric! I've been a fan of Judi's for a while. I get her newsletter too. Love her layers of love pattern. What a great giveaway..very pretty fabric. I Love Green Fairy Quilts. Her free motion quilting is simply amazing!!! count me in! That fabric is gorgeous! I hopped over and fell in love with square chase! I like the sail away pattern. I Check her out all the time! I get her newsletter too! I love her framed pattern! I got it as a kit with the fabulous Momo fabric! I think I am going to do another one too! The fabrics are gorgeous. I would love to win. Thanks for the chance. I signed up for Green Fairy Quilts newsletter. Thanks for the chance to win. I now follow the green fairy blog. 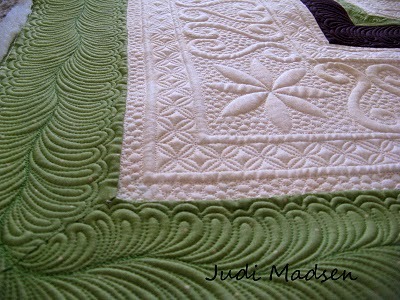 She does some very pretty longarm quilting. I can't believe she has time to do all of those things and her quilting is amazing! I would love the opportunity to win - thanks for the chance! I am a new follower. Great blog. I've been a follower of Green Fairy Quilts for a while now, they have amazing prices. My favorite pattern would have to be Inch By Inch - love it! I have signed up for the shops newsletter - didn't realize they had one, or a blog for that matter! I love the Sail Away pattern. Great for masculine quilts. Greed Fairy Quilts has several nice patterns...just to pick one was hard....I did like Quilts within A Quilt. I just became a Green Fairy Quilts follower. The green fairy sure does wonderful quilting. Thanks for the chance to win. oh what a beautiful fabric line. I love it! Garden Party is my favorite pattern. Love it! Thank you for the opportunity to win such beautiful fabric! I signed up to receive Green Fairy's newsletter. I am not a Green Fairy Quilts blog follower. My favorite quilt pattern is Checkered Cherries. I wrote about Green Fairy's giveaway and posted your link on my status on my Facebook page. My favorite pattern is "Strippin' Time"
GREAT giveaway! So love Green Fairy Quilts - her prices are great and her sales are awesome. Oh, I LOVE that line! THANKS for the chance! 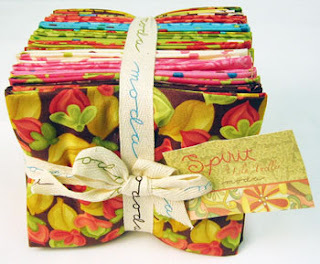 I love precuts, so the Bliss fat quarter bundle is on my wish list. i like the strippin' time pattern - have had my eye on it for a while. i get the newsletter. constantly sucked in by her crazy deals. I like the butterfly mania quilt pattern! Would love to win your give-away!! OOh I have had my eye on this fabric, I would so love to win some, thanks for the chance! Thank you for this giveaway! Spirit fabric is pretty darn gorgeous! I'm looking at Judi's Celebrate America pattern ... really like that for a table runner. I receive Green Fairy's newsletter :) Thanks!! Ohhh! Great giveaway, I love that fabric! I went to GFQ and I love the Butterfly Mania pattern. Love this fabric and would love to win the bundle! And you are right..Judi is a triple threat for sure! I now follow GFQ on Google Reader. Great fabric! I'd love to add it to my stash! My favorite pattern of Judi's is her Flower Patch pattern. For a favorite pattern, I am torn between Flower Patch and Autumn Harvest! I just finished a table topper for my sister using this line of fabrics. I love it-so bright and cheerful. I think I'll make her matching napkins for Christmas. Julie, please pick me! I'd love to win and I would share the fab fabric with my adorable daughter. Please, oh please, oh please! This would be comment #1...more to come. I'm following Green fairy quilts and I wish that a green fairy would visit my house any day.....maybe even everyday. I'm a follower and love being one! I LOVE the turtle walk. Remember seeing it on her blog and fell in love with it. So fun to see cute patterns for boys. I've been following GFQ for awhile! Love all her fantastic patterns but Grandmas Trellis is always my favorite! What a great giveaway....thanks for giving us a chance to win! I am already a follower of Green Fairy Quilts. Beautiful - I love the quilting on that quilt! I browsed the patterns and jumped to some of the pre-cuts and the prices are great. I will definitely be back to order sometime in the future! I liked the pattern, Flower Patch. Thanks for the giveaway! The fabric is just too cute! I already follow Green Fairy Quilts blog. Newsletter is on it's way and there are discounts a coming. Yee haw! Wow! Love her custom quilting!! I am a follower of Green Fairy now! Thanks for the chance at another great give away. My favorite pattern is Butterfly Mania. I've never done any applique, but would love to try my hand at it one of these days! I love that butterfly pattern, so cute. wow! her quilting is amazing!!! I've signed up for her newsletter. I went over and became a follower of Green Fairy Quilts. And I like the Turtle Walk patter - it would make a super cute baby blanket! Anyone who enjoys quilting or farm life is welcome to become a follower! My favorite pattern on Green Fairy Quilts is the Paisley Park.